See a complete list of the best steakhouses in New York where you can order juicy rib-eyes, tasty sirloins, and any other delicious steak dish you desire. Take a bite out of the best steak New York has to offer by browsing through Fun New York's guide to NY dining. Order Some of the Best Steak in NY! A Zagat-rated steakhouse in New York; Jake's offers some of the finest steaks, chops, and seafood in the state! If you're not in the mood for steak, you can order a full rack of pork ribs. The sweet, smoky, and tender creations are absolutely divine! Other notable items include the filet mignon tips, jumbo lump crab cakes, creamed spinach, garlic mashed potatoes, shrimp scampi, and Mussels Fra Diavolo. For dessert, you're given such mouth-watering choices as Boston cream pie, NY style cheesecake, and apple crisp. The staff is always professional, friendly, and attentive. For beverage options, you can choose from an extensive craft beer selection or pick from the topnotch wine list. The multi-level, 126-seat restaurant is conveniently located only minutes away from Yankee Stadium, making it the perfect spot to grab a scrumptious dinner after the game. Valet parking is available on premises. 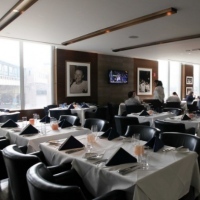 Enjoy a Delightful Steak Dinner in Yankee Stadium! Bringing world-class dining to world-famous Yankee Stadium, NYY Steak is often regarded as one of the best steakhouses in NY. Around every corner you'll find signature Yankee touches like an autographed wall of past and present players, baseball diamond-shaped dishes marked with numbers of former Yankee players, and 27 wines by glass commemorating 27 world championships! Dig into one of the restaurant's award-winning, dry-aged USDA prime steaks. Try one of the five-star seafood dishes or sumptuous desserts. Casual attire is permitted on both game and non-game days, though baseball caps are prohibited. Men are required to wear collared shirts (no tank tops). If you're a fan of baseball AND a fan of great steaks, NYY will be your virtual utopia! Satisfying Steak Lovers since 1887! Since 1887, Peter Luger Steakhouse has successfully catered to even the most discerning steak connoisseurs. The charming, old-fashioned feel of the steakhouse is enhanced by its timeless wood furnishings. 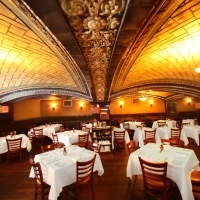 The dining room is reminiscent of Old New York and German-style ale-houses. 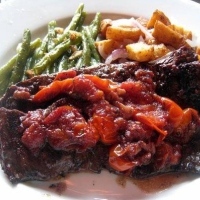 Order the restaurant's gold-standard porterhouse, with the delicious sides of your choice (i.e. : savory creamed spinach, thick hand-cut fries). Or order one of the juicy, flavorful burgers. Top off your fantastic meal with one of the sinfully smooth cheesecakes, bound to satisfy anyone's sweet tooth. Grab a drink at the restaurant's fully stocked bar. Advanced reservations are highly recommended. Upstairs banquet facilities can be reserved for parties of up to 45 people. 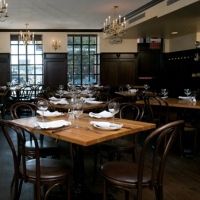 Peter Luger is conveniently located, only a stone's throw away from Manhattan! A Cozy Restaurant that even Non-Steak-Lovers will Enjoy! DeStefano's is a cozy, upscale, family-owned steak restaurant that serves as a more pleasant alternative to some of the busier steakhouses in the area. Try one of the thick, juicy, flavorful, savory steaks--all prepared with the perfect amount of spices. Even guests who are not steak/meat lovers have sung the praises of this top NY steakhouse! Other noteworthy menu items include the crab cakes, veal chops, and lobster ravioli. The service is absolutely superb, as you'll never have to worry about getting snubbed by your waiter or waitress! The restaurant is conveniently located only two blocks east of the Brooklyn Queens Expressway (BQE). One of the Most Elegant Steakhouses in New York! As the premier steakhouse on Long Island, Blackstone offers you an unforgettable dining experience within a beautifully elegant setting. 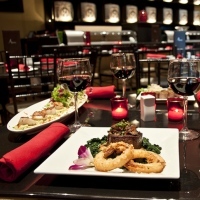 The menu offers tantalizing steakhouse classics, as well as amazing sushi and seafood creations. If you're seeking the perfect glass of wine to accompany your meal; choose from the restaurant's 850-bottle, award-winning wine list. You can also relax and unwind in the spacious bar area. In addition to serving some of the best steak NY has to offer; Blackstone is a great meeting place for friends, family, and business associates. Reservations are strongly recommended. Hours are 11:30 A.M. to 10 P.M. on Mondays through Wednesdays, 11:30 A.M. to 11 P.M. on Thursdays and Fridays, 5-11 P.M. on Saturdays, and 4-9 P.M. on Sundays. Premium Steaks and a Premium Wine List! Serving wonderful American cuisine and local seafood dishes, Tellers allows for one of the best dining experiences in New York. The spectacular dining room is dominated by 30-foot ceilings and art deco friezes. Choose from captivating varieties of prime aged steaks and chops. In the mood for a few cocktails? Pull up a seat at the Gold Bar. The restaurant's Wine Vault houses more than 10,000 wine bottles and 1,000 labels. Check the website to find information about various deals and discounts, including price-fixed dinners. 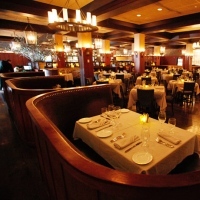 Book your reservation at one of the best steak houses in New York today! One of the Most Popular Steakhouses in all of NY! Located one block away from New York's Grand Central Station, Benjamin Steak House is famous for preparing some of the best New York steaks, attracting both business professionals and celebrities alike. Such celebrities as James Gandolfini, Ray Liotta, Ice T, Christopher Meloni, Vin Diesel, Adrien Brody, Mike Tyson, and Rosie Perez have been spotted at the famed NY steak joint. Chef Arturo McLeod is a master at preparing some of the juiciest, most tender cuts of meat. From the 36-ounce porterhouses to the succulent rib eye to the outstanding filet mignon, you are bound to find a steak that will make your taste buds dance! The steaks maintain their impeccable quality, due to being carefully dry-aged in a specially handcrafted aging box for at least 28 days. The expansive restaurant seats up to 170 guests. Catering, take-out, and delivery options are available. A Four-Star, Zagat-Rated Steakhouse in NY! Step into the Strip House's siren-red interior and prepare for some of the tastiest charred cuts in NY and all of the world! 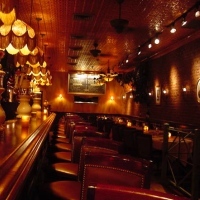 Named a top steakhouse in Zagat, the restaurant is one of the gems of NYC's Greenwich Village. The reputable also received a four-star review in Forbes Magazine! Hours are 5-11 P.M. on Mondays through Thursdays, 5 P.M. to 11:30 P.M. on Fridays and Saturdays, and 5 P.M. to 10 P.M. on Sundays. 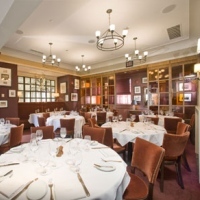 With a seating capacity of 250 people, the steakhouse is perfect for booking private cocktail receptions. The Strip House also has a location in Las Vegas at the Planet Hollywood Resort & Casino. Delicious Steak and Outstanding Mutton Chops! 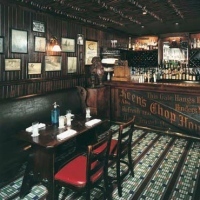 Best known for its exceptional and gigantic mutton chops, Keens Steakhouse is one of the most talked-about restaurants in the New York Metropolitan area. 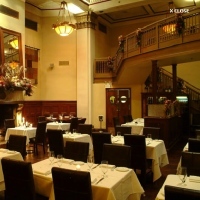 The restaurant has been raved about in such periodicals as The New York Times and The New York Post. All classic, dry-aged steaks are USDA approved and absolutely explode with flavor! The restaurant also offers a fine selection of scotch and ale. Are you planning on hosting a special event? 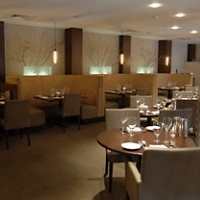 Accommodating up to 300 seated guests, Keens is perfect for special events of all types! Restaurant hours are 11:45 A.M. to 10:30 P.M. on weekdays, 5 P.M. to 10:30 P.M. on Saturdays, and 5-9 P.M. on Sundays. Keens is open every day of the year, except for Christmas Day! Phenomenal Porterhouse Steaks in NY! Serving phenomenal porterhouse steaks within a beautiful atmosphere, Wolfgang's Steakhouse at Park Avenue has celebrated a full house since the day it opened! With its arched ceilings and exquisite tile work, the architecture itself is absolutely stunning. Both the steak and sides on the menu are extremely filling. Accompany your dinner selection with one of the restaurant's amazing wines! The meals are on the pricey side, but for some of the best steaks in New York, it's very well worth it. Hours are 12 P.M. to 10:30 P.M. on Sundays through Thursdays, and 12 P.M. to 11:30 P.M. on Fridays and Saturdays. Some of the Highest Quality Steaks in NY! A perfect place to eat, gather, and enjoy the finer things in life; Uncle Jack's Steakhouse specializes in 21-day dry-aged USDA prime meats, Kobe beef, and Australian lobster tails. The filet mignon is so tender that it will absolutely melt in your mouth! For dessert, try the pecan pie or chocolate souffle. Get treated with impeccable service from the friendly, professional staff. Uncle Jack's has received rave reviews from such renowned sources as The New York Times, Daily News, The New York Newsday, and Zagat. Online reservations are available on the website. Keep updated on the latest news, events, and promotions at the restaurant by signing up for the mailing list. Great Appetizers, Entrees, and Desserts! A great American steakhouse with a unique Mediterranean influence, Christos is famous for its brilliant steaks, seafood, and chops. 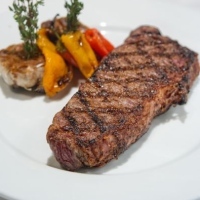 Customer favorites include the porterhouse, filet mignon, rib-eye, and skirt steak. Accompany your entree with such enticing sides as lobster or garlic mashed potatoes. For dessert, you're given such delectable options as chocolate cake, coconut cake, and baklava tarts. If you're contemplating the perfect beverage to top off your meal, choose from the restaurant's extensive wine list. 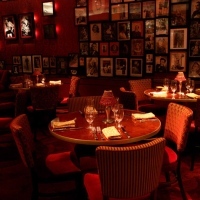 The New York steakhouse has received positive reviews from such sources as Time Out New York, The New York Post, AM New York, Zagat, and The New York Newsday. Outdoor dining is available. Hours are 4-11 P.M. on Mondays through Saturdays, and 3-10 P.M. on Sundays. Steak, Sushi, and a Large Martini Menu! Arirang Hibachi Restaurant has been satisfying patrons from all over the globe for over 20 years! The venue offers hibachi dining rooms, live cooking, delicious food and drinks, and a modern Asian tavern. The tavern menu includes Pan-Asian infused dishes like Kobe sliders, Asian Cioppino, Saikyo Miso Chilean Sea Bass, and wasabi crusted filet mignon. 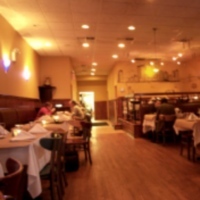 The restaurant/steakhouse is a great after-work spot, as tasty appetizers and cocktail specials are offered every weekday from 4:30 to 6:30 P.M. At any time, you can choose from one of the largest martini menus in the Staten Island area! The restaurant's party packages are perfect for kids' birthdays, bridal/baby showers, corporate get-togethers, and other special occasions. One of the Great New York Steakhouses! Once an old-time saloon, Ruddy & Dean is now a great NY steakhouse that offers terrace dining and a spectacular view of Manhattan. A number of local and national celebrities have stopped by the restaurant to enjoy some of the best New York steak. All steaks are aged 14-21 days to maintain the best flavor possible. Located on a gorgeous waterfront, the steakhouse offers something for everyone, including non-beef lovers. The restaurant is conveniently located, across the street from the Staten Island Yankees' ballpark and the Staten Island Ferry, and only blocks away from the famous St. George Theatre. Ruddy & Dean's party room seats up to 125 guests. Choose from a delicious array of catering options for all occasions! Outstanding Steaks, Sushi, Seafood, and Wines! An upscale steakhouse in Albany, Angelo's 677 Prime is known for its USDA prime steaks; as well as its outstanding sushi, salads, and fresh seafood. The wine list consists of over 400 varieties, and a full bar is available. The restaurant is conveniently located in the hub of Albany's Theater District, making it a perfect dinner spot before or after you take in a show! Enjoy live music, every Wednesday through Saturday from 6:30 to 10 P.M. Walk-ins are welcome, but advanced reservations are highly recommended. Valet parking is available during dinner hours. 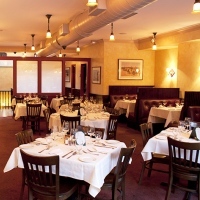 Catering to private parties of 20-80 people, Angelo's has three rooms available for all types of special occasions. Some of the Best and Most Affordable Steaks in NY! Creating a new twist on the traditional steak and seafood restaurant, Black & Blue brings classic dishes to a more contemporary setting. All steaks are made of black angus beef, hand-cut and aged between 21 and 28 days. Though the prices aren't "cheap," the menu items are more affordable than the selections you'd find at your average steakhouse. Despite the elegant surroundings, the staff encourages all its customers to dress however they feel most comfortable. If you're planning a private event, the restaurant features 3 rooms and 5 menus for hosting all types of events and functions. The rooms range in capacity from 16 to 50 guests. Online reservations are available on the website. Are you looking for an all meat dining? 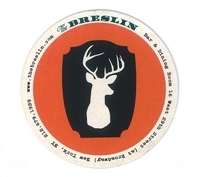 The Breslin Bar & Dining Room is the best place for you and it is one of the best restaurants in NY serving mouth-watering nose-to-tail cuisine. From balsamic roasted duck, rib of beef to whole roasted suckling pig! New York is one of the busiest cities and dining seems to be in "fast" motion. In the middle of New York City lies this cozy, warm and homey restaurant where the best lamb burger is served. This place has one of the most unique menus and they definitely serve meat dishes to wait in line for! Satisfy your hunger for stuffing and meat here at The Breslin--they take no reservation but they serve from breakfast to dinner.